This is the first level of nerdy nebula episode and have new item that is timer bomb same as in normal candy crush saga. 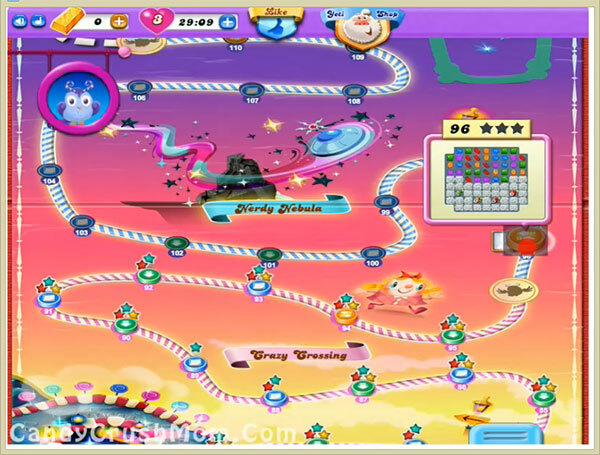 This level have 34 meringue blocks and four timer bombs are stuck in middle of them. First you should try to break meringue blocks by with balancing of the Odus owl then break timer bomb. You might need few special candies to reach required score but its not that hard to get then focusing on Owl and timer bomb. We completed this level with 152940 score by balancing the Owl and breaking the timer bomb plus got few special candies that help to get three star score.